Full stave ash plinths are ideal for kitchens featuring our full stave ash worktops, and perfectly complement solid wood cabinets and many other natural kitchen furnishings. Our full stave plinths measure 3000mm x 150mm x 20mm, and come with a smooth sanded finish, but without any treatment applied so that you may apply oil, lacquer or paint as required. 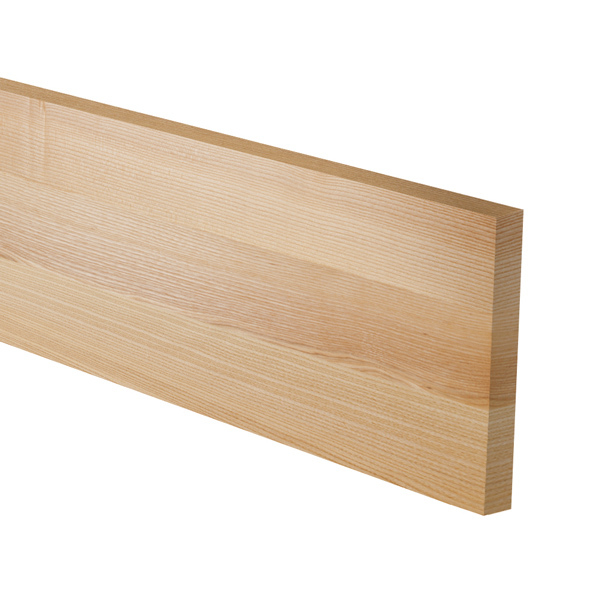 These full stave ash plinths can also be used to create a larger upstand, or used as trim in other areas of the kitchen such as window sills and skirting boards. Read more about our range of full stave plinths in our Wood Worktop Plinths Nutshell Guide.